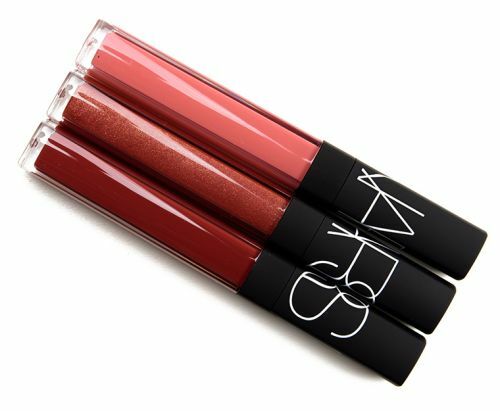 NARS Defiant Lip Gloss Coffret is a new, limited edition trio of glosses. The three shades performed similarly; they're about average for a lipgloss-non-sticky and comfortable to wear but aren't particularly long-wearing and because they're sheerer they could apply more evenly/stay out of my lip lines better. NARS Lip Gloss retails for $26.00 and contains 0.18 fl. oz., and this set includes three full-sized glosses, so it has a total value of $78.00.